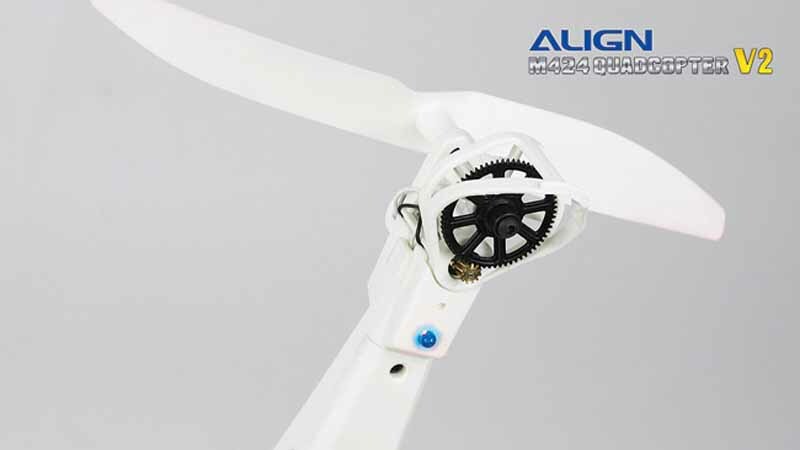 The largest brand of RC helicopter in the world, ALIGN T-REX series, accounting for 70% of global market share, now ALIGN sends another shockwave through the market by introducing a brand new model, M424 Quadcopter. 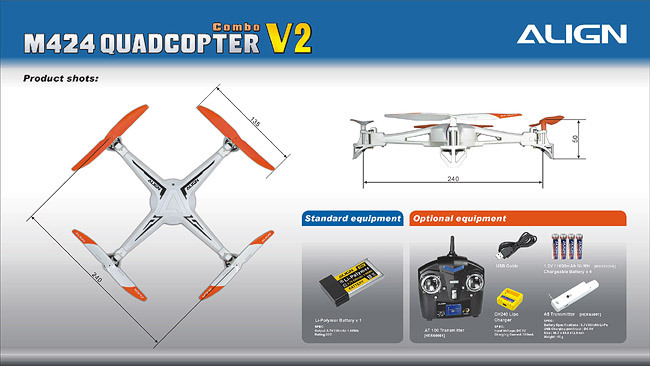 Just plug the battery in, and experience the joy of flight without any assembly or tuning. 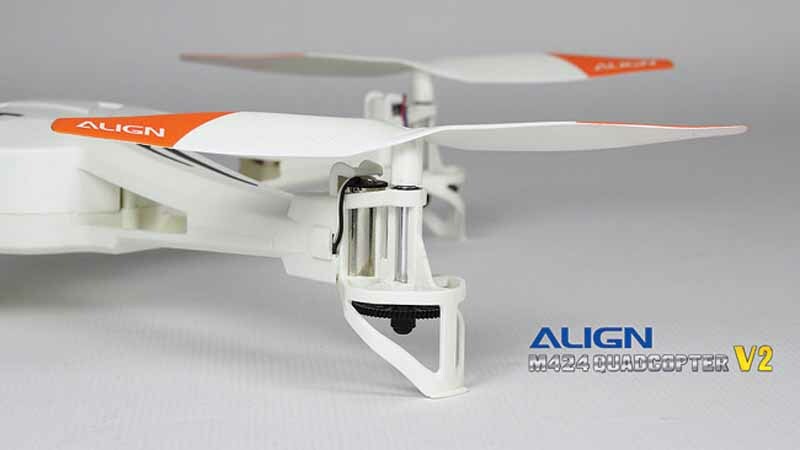 Featuring unique quad-rotor layout, with new and cool elements, innovative exterior with a touch of high-tech feel. Control is similar to RC helicopters, but with highly stable characteristics making it easily adoptable even for those without prior flight experiences. 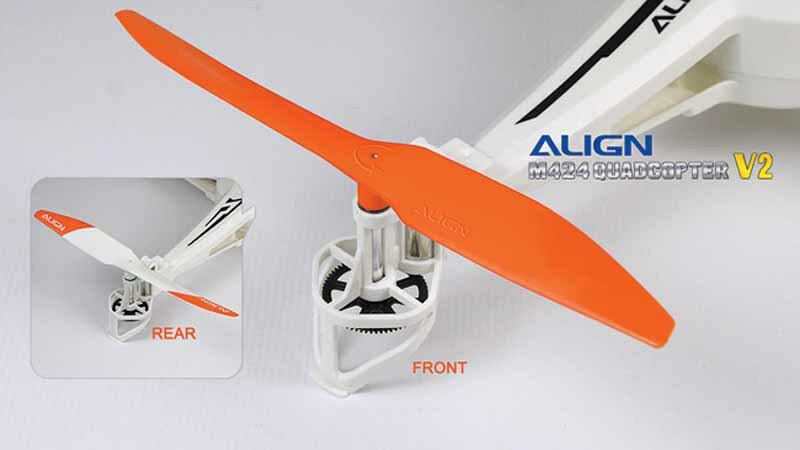 M424 Quadcopter V2 contains Advance and Standard flight modes, collocated new blades, can be efficient increase flight performance. 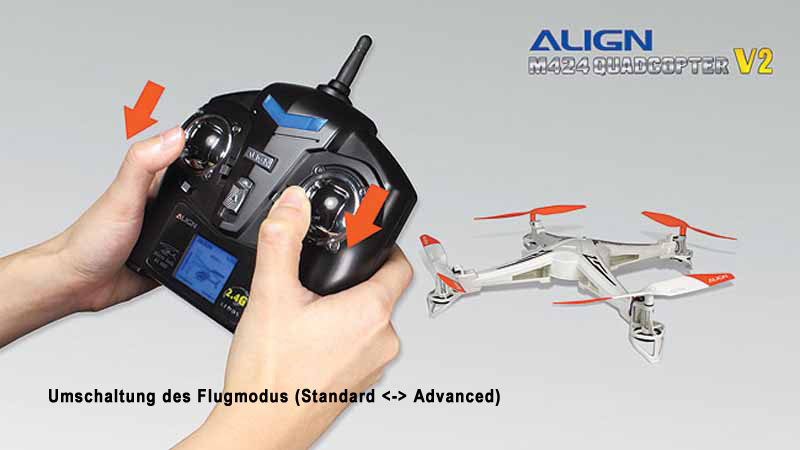 With your own AT100 radio controller (optional equipment), you can enjoy the pleasure of flying as soon as you want. 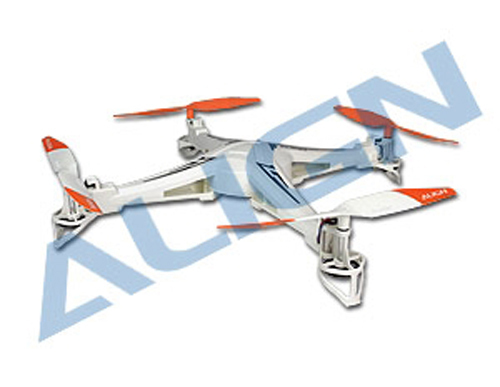 In addition, it can be combo with A5 2.4GHz transmitter (optional equipment), which is special developed for iPhone app, features fully functional remote control capability for controlling M424, the built in gyroscopic sensor of iPhone can be used to fly the quadcopter with motion sensing. 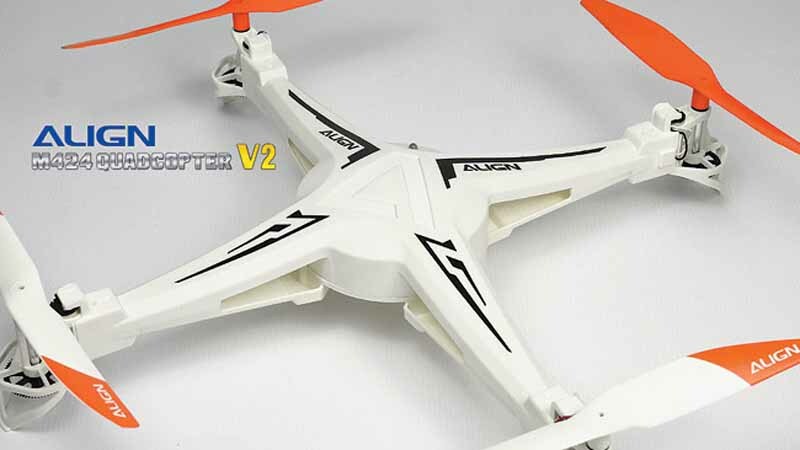 • M424 Quadcopter V2 contains Advance and Standard flight modes, collocated new blades, can be efficient increase flight performance. • Featuring unique quad-rotor layout, with new and cool elements, innovative exterior with a touch of high-tech feel. 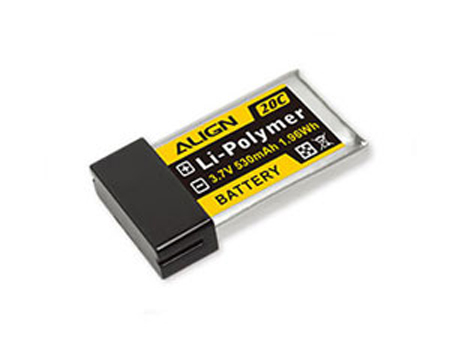 No assembly or adjustment necessary; just plug in the battery and fly! • Designed with ergonomic structures and equipped with quick release motor mounts to simplify maintenance and parts replacement. • Highly visible graphics printed on blades to help directional recognition during flight. • Helical gear design to provide quieter flights; LED under all 4 motor mounts to improve flight visibility.